A man who killed his father's partner in a "frenzied attack" on Christmas Day in 2017 will serve at least 17 years in prison. Ward, also of Mornington Lane, pleaded guilty to all charges in January. As well as the murder, he also admitted the attempted murder of Charlotte Reat and the malicious wounding of his father Joseph Tweedie. It was also confirmed in Craigavon Crown Court on Friday that Charlotte Reat had waived her anonymity in relation to Ward having pleaded guilty to a number of charges of sexual assault against her. Referring to the impact Ward's action had had on Charlotte Reat, the judge told him: "You, Ward, have robbed her of her life and prospect. "Nothing this court or you can ever do will even begin to undo the damage, the damage that you have caused her through your own uncontrolled hatreds and passions." In handing down a minimum 17-year sentence, the judge said there was "a degree of premeditation and planning" in the crime. With time already served on remand, Ward will not be considered for parole until at least 2034. "When and if you are ever safe to be released will not be determined until 2034," said the judge. 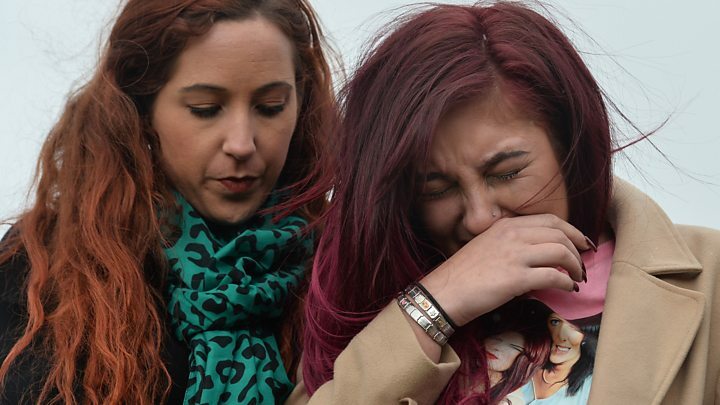 As Ward was being led away, Charlotte Reat broke down in tears. A court heard last week that Ward had fantasised about killing Jayne Toal Reat and in the months before the attack he had bought knives, duct tape and "intimidating" gas masks with a mind to "torturing" her. The fatal attack happened in a bedroom where the mother and daughter had been sleeping. The court heard that it would have been inevitable that Charlotte Reat "would have suffered that same fate as her mother" had Ward's father not entered the room. In a statement after the sentencing on Friday, Charlotte Reat said: "I can't say I am happy but I'm glad that Nathan has finally admitted to what he has done. "This has been an extremely long and tough journey without my mum and it will only continue. "The courts are finally over, however I will never see my mummy again and this destroys me. "She was my best friend, my everything and I love her so much." Det Insp Michelle Griffin said: "Charlotte and her mother should have been waking up looking forward to the excitement of Christmas Day and sitting down for a family dinner. "Instead Jayne was savagely murdered and Charlotte and Joe's life were changed forever." The detective added: "Nathan is a dangerous man who has shown no remorse for his actions. "Despite having been left extremely traumatised by the incident, Jayne's family have displayed great courage."